What's more scary? An "US" version of your family coming after you or Carrot Top standing in your kitchen at 2am? In the news this week, Tim Allen's N-Word problem, how evil of a rich person can you be, Walking Dead is good again - sort of, the platter Earth and more. Also, Taylor stops by for another "Rap or Crap". 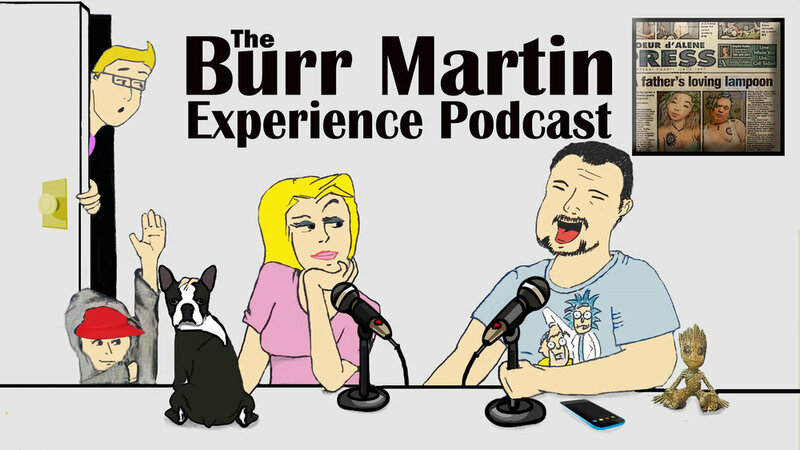 Joined by his wife/co-host of more than 28 years, Burr brings his unique brand of humor, nerd experience and C List Internet celebrity status to talk about the strange, odd and downright funny news stories from around the World, plus a few other surprises thrown in. A product of Pants Pending Studios. This is a copyrighted internet broadcast. Any reproduction or rebroadcast without express permission of its creators is strictly prohibited.